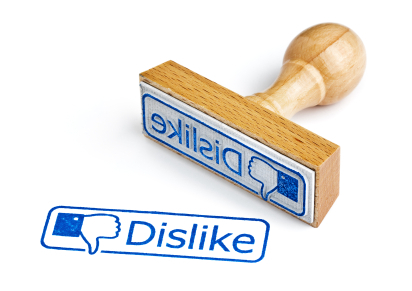 Courts will not ReTweet or “Like” discovery requests for social media that are simply fishing expeditions. Please identify whether you had any social media accounts and/or profiles including, but not limited to, Facebook, Twitter, MySpace, you have had at any time from July 5, 2012-February 1, 2013. For each account, please provide the name and/or username associated with the profile and/or social media account, the type of social media account (e.g. — Facebook, Twitter, etc. ), the email address associated with the social media account, the dates you’ve maintained the account, and/or whether the account is still active. Please produce a copy of any and all electronic communication either sent or received by you through social networking sites, including, but not limited to, Facebook, Twitter, and/or MySpace, between July 5, 2012 — February 1, 2013, that relate in any way to the incident that is described in the Second Amended Complaint. Please exclude any electronic communications that were sent and/or received exclusively between yourself and your attorney. Here, Plaintiff simply contends that the requests are relevant because, “Plaintiff is seeking information about statements that Defendant Brown made about the incident at issue in this case, which could include admissions against interest, and could certainly lead to the discovery of admissible evidence.” (Doc. 27 at 7). The mere hope that Brown’s private text-messages, e-mails, and electronic communication might include an admission against interest, without more, is not a sufficient reason to require Brown to provide Plaintiff open access to his private communications with third parties. Indeed, Plaintiff has “essentially sought permission to conduct ‘a fishing expedition’ . . . on the mere hope of finding relevant evidence.” Tompkins v. Detroit Metropolitan Airport, 278 F.R.D. 387, 388 (E.D.Mich. Jan. 18, 2012)(quoting McCann v. Harleysville Ins. Co. of New York, 78 A.D.3d 1524, 1524, 910 N.Y.S.2d 614 (N.Y. App. Div. 2010)). A party “does not have a generalized right to rummage at will through information that Plaintiff has limited from public view.” Id. Requests for social media, text messages and other ESI must be narrowly tailored and not a rummaging expedition at a garage sale. “Hoping” a text message or social media wall post exist does not make them a reality. With that said, it is a challenge to draft a more specific discovery request without knowing who the Defendant communicated with regarding the incident in the lawsuit. Discussing possible custodians, whether they communicated by email, text, or social media, is an excellent meet and confer topic. Another good pointer is to narrow the time period, which the request at issue in this case did do. If a requesting party is after specific social media communications, requesting messages or postings from specific dates, stated topics and between named individuals are factors to make a request narrowly tailored. For example, a party in an auto accident may take a photo of the car damage on Instagram (which would be odd, but possible). Instead of requesting all social media photos, requesting any photos taken the day of the incident would certainly be one way to acquire the discovery. I’m with you, Josh. It would be tough to narrow the scope of the RFP. They could hardly have added “which might constitute an admission against interest” and expected to get anything. As drafted, the scope was limited to social networking, and the time interval was brief. Plus, the defendants were police officers in an excessive force/wrongful death action. If one of them was posting “publicly” about the incident on social media sites, that seems fairly within a reasonable scope of discovery to me. beyond the pale. Why should communications to third-parties using public forae be a fishing expedition? How would you (or your readers) narrow it to satisfy the judge? I think it would be tough to narrow this request, unless the requesting party had some idea who the producing party was communicating with. If the profile was public, the requesting might have seen comments with other individuals. That would at least give an idea of what possible non-public communications to request. Maybe they discussed other people at the meet and confer. Other than that, it would be some difficult guess work for the requesting party. I am trying to figure out how this magistrate judge got it right… On the one hand, I can see where the interrogs (viz 10, 11, 12, and 13) are broad because they ask about ANY cell phones, ANY email, ANY social media accounts, and ANY listservs – regardless of whether they were used to communicate relevant information. It might have been better to ask if the party uses or used any of these mediums to communicate about the case, and then go from there. So there is that.